The ChiliPad is a personal temperature control system that cools or heats your body while you rest. This mattress pad fits under the sheets of your bed and the micro-climate control unit sits to the side or even under the bed. Set the thermostat down to 46 degrees Fahrenheit or as hot as 118 degrees Fahrenheit. The ChiliPad is a great in-bed solution that provides relief from night sweats and hot flashes caused by warm sleeping environments or menopause. 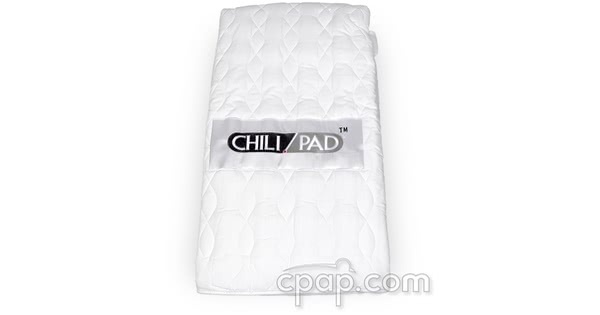 The ChiliPad has a 3 year warranty and a 90 Night Satisfaction Guarantee. If you are dissatisfied with your ChiliPad within 90 nights from the purchase date, we will take back the product and refund the purchase price. 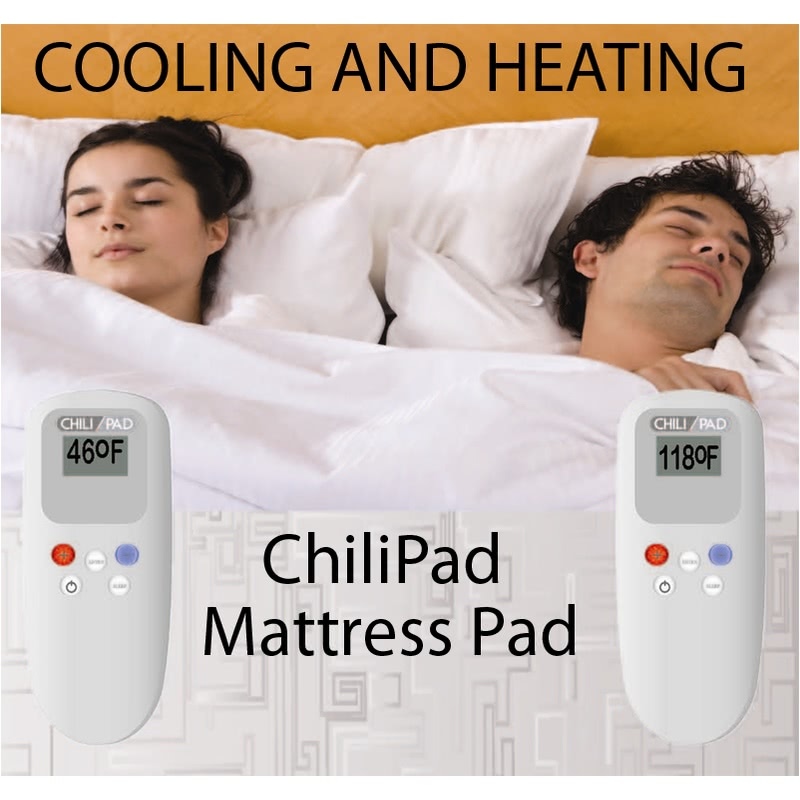 The ChiliPad uses heated and cooled water to manage surface temperature on the mattress pad. Fill the control unit with water and set your desired temperature. Semiconductor technology within the control unit heats or chills the water and uses an electric pump to move the fluid through soft coils in the mattress pad. As your body begins to cool, water is recirculated back into the control unit and the process is repeated throughout the night. There are no electrical components within the mattress pad and all cooling is done in the ChiliPad control unit. The control unit is virtually silent. A six foot tube runs from the mattress pad and connects to the control unit. 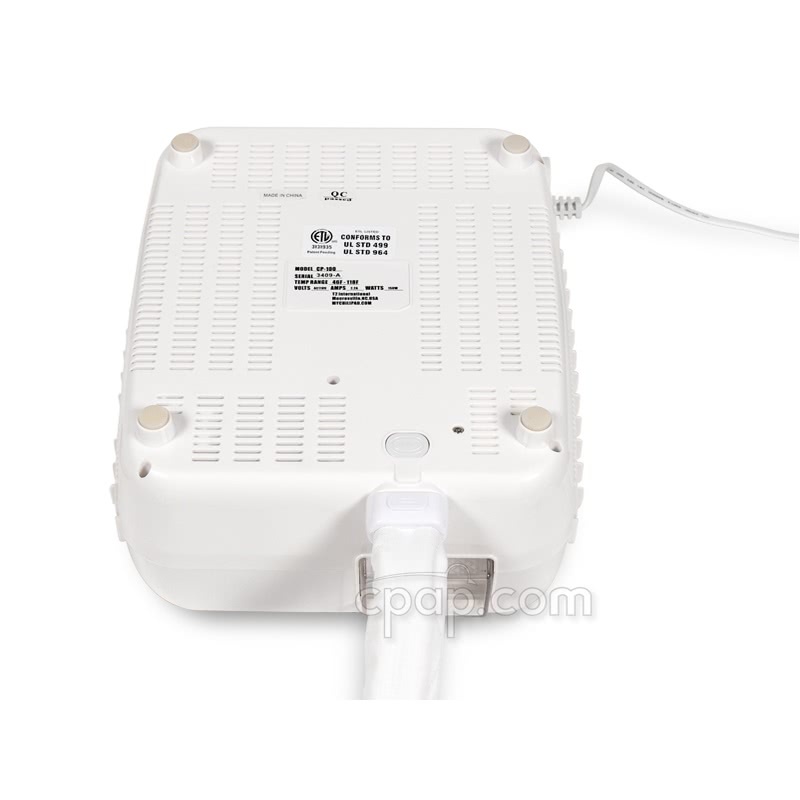 If you need to place the machine further away, an extension adapter is also available (sold separately). 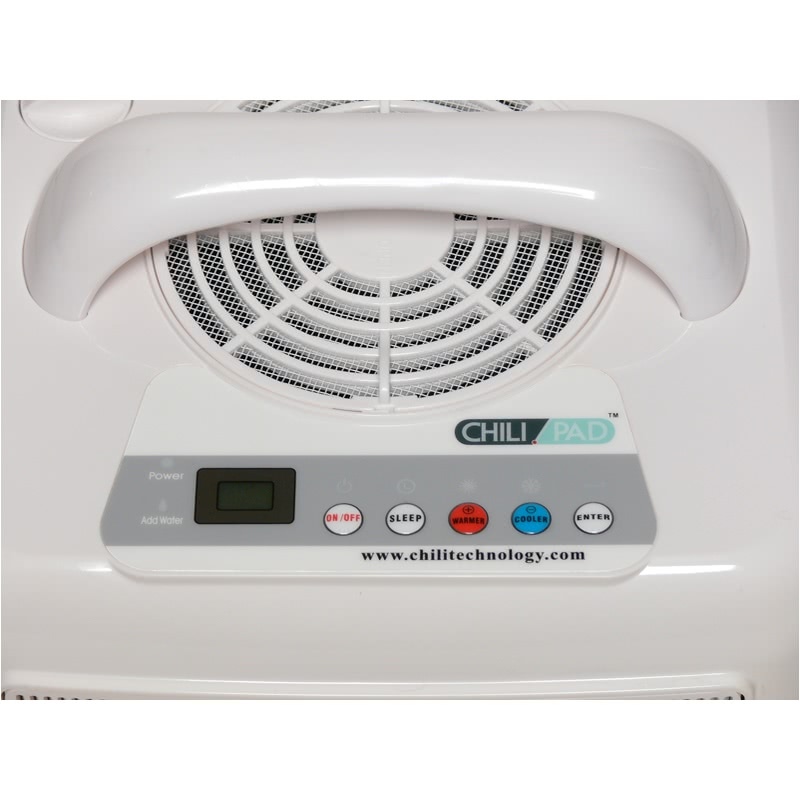 The ChiliPad comes with a wireless controller that allows you to change temperature and features while the control unit is out of reach. Room temperature can play a significant role in sleep. Sleep professionals generally agree the ideal ambient temperature should be slightly cool and between 54 to 75 degrees. Our own body temperature begins to lower when we reach Stage 2 of our sleep cycle and people generally experience more "almost-awake" episodes when temperatures prevent quality sleep. Use the ChiliPad to personalize your own environment and find the perfect balance between the ambient temperature and the mattress pad. As an added benefit, the ChiliPad allows users to lower their monthly energy costs. Unlike typical floor and ceiling fans, the ChiliPad provides convection cooling directly under the body and reduces heat normally trapped between you and the bedsheets. ChiliPad users can set their nightly thermostat temperatures as much as 8 degrees higher than normal. An air conditioner accounts for 45% of energy costs for the average home with monthly electric bill of $500.00 dollars. 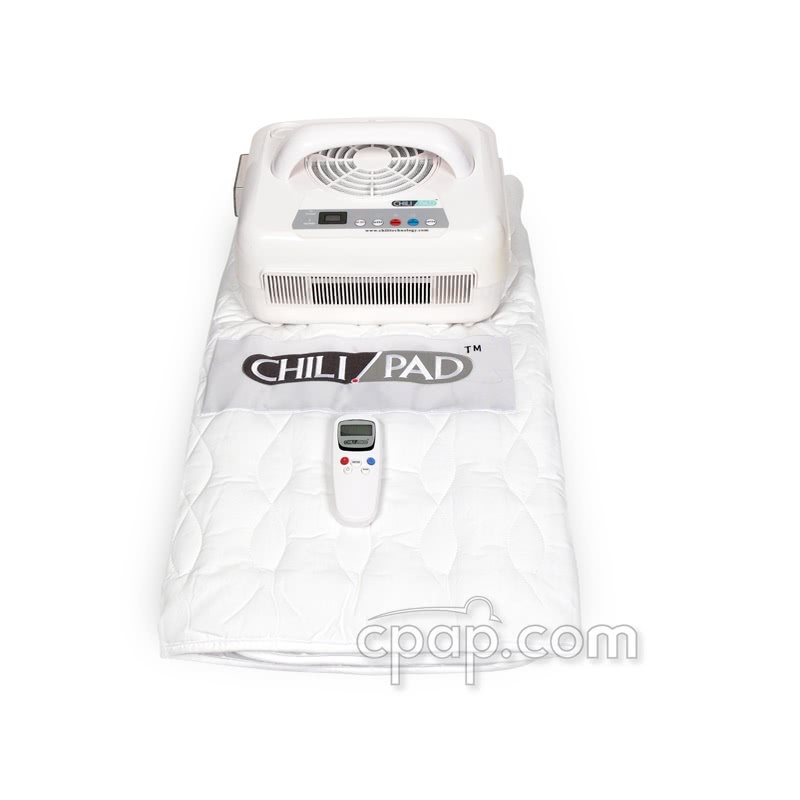 A temperature change of 7 degrees while using the ChiliPad (moving temperature from 68 to 75 degrees at night) can lead to an estimated annual saving of $1,134.00 dollars. Recover the cost of the ChiliPad in just a few months and start saving on energy. Control Unit Dimensions 12"x 7.5"x 9"
Money Back Satisfaction Guarantee: If not completely satisfied with the product, the manufacturer offers a money back guarantee. 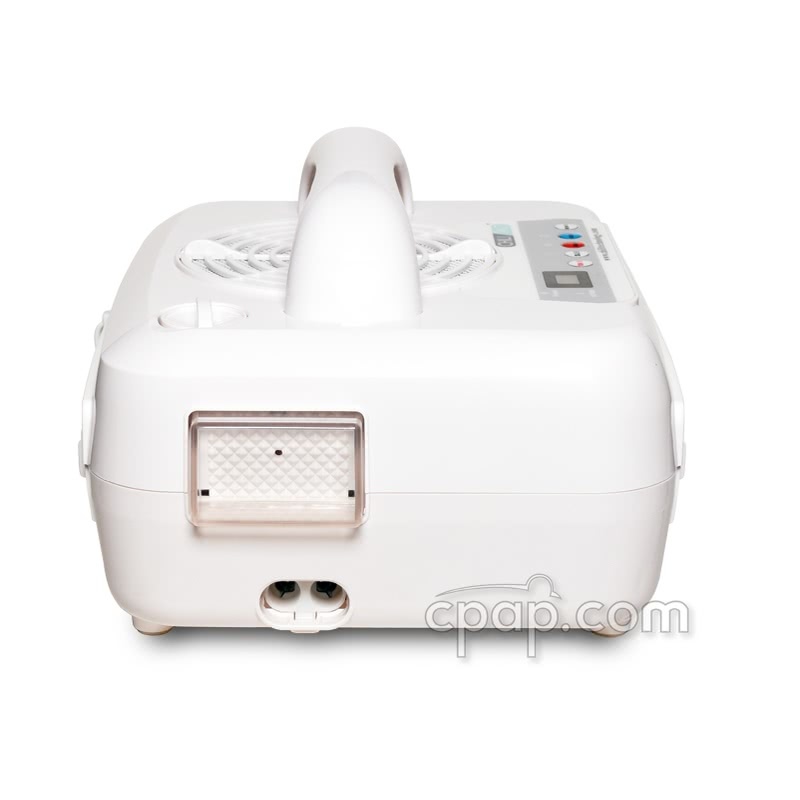 Simply contact CPAP.com for Return Authorization and instructions within the first 90 nights from the purchase date if you are not completely happy with the product. Limited Express Warranty Coverage: The ChiliPad control unit is serviceable up to three years from the date of purchase. 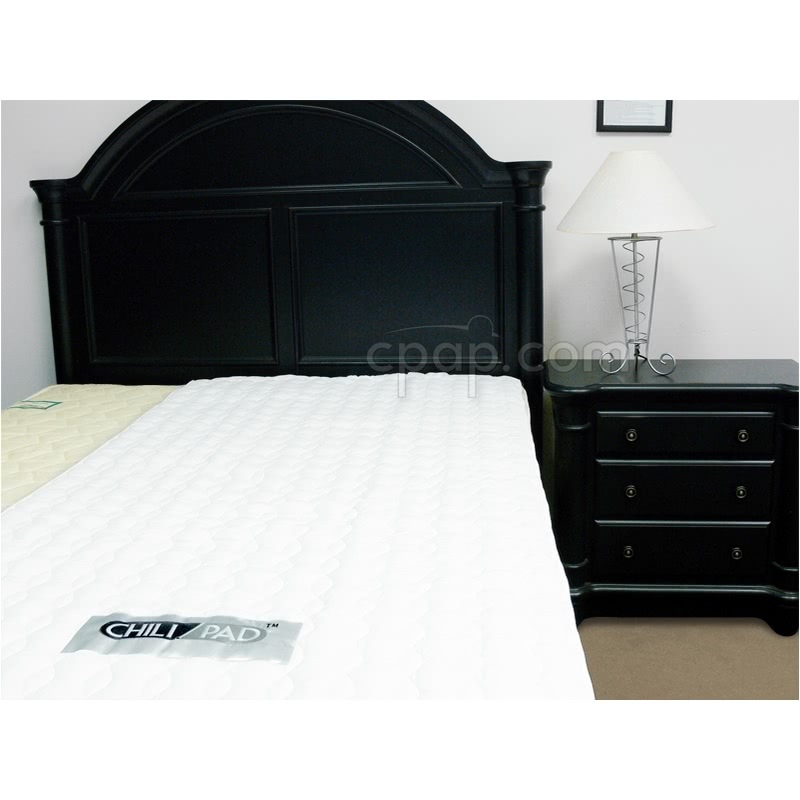 The ChiliPad mattress pad is covered separately and is warrantied up to one year from the date of purchase. Please contact CPAP.com at 800.356.5221 to obtain a Return Authorization Number for repair. This product was first reviewed by a CPAP.com employee and recommended as a stocked item. The ChiliPad works exactly as advertised. No instructions were needed and setup was easy. On the first night, the temperature was set to 65 degrees and the unit read 69 degrees in the morning. The unit was several more nights and by the third night the control unit was set to 56 degrees and was reading 60 degrees at night and 58 degrees in the morning. CPAP.com carries ONLY the Twin XL size. 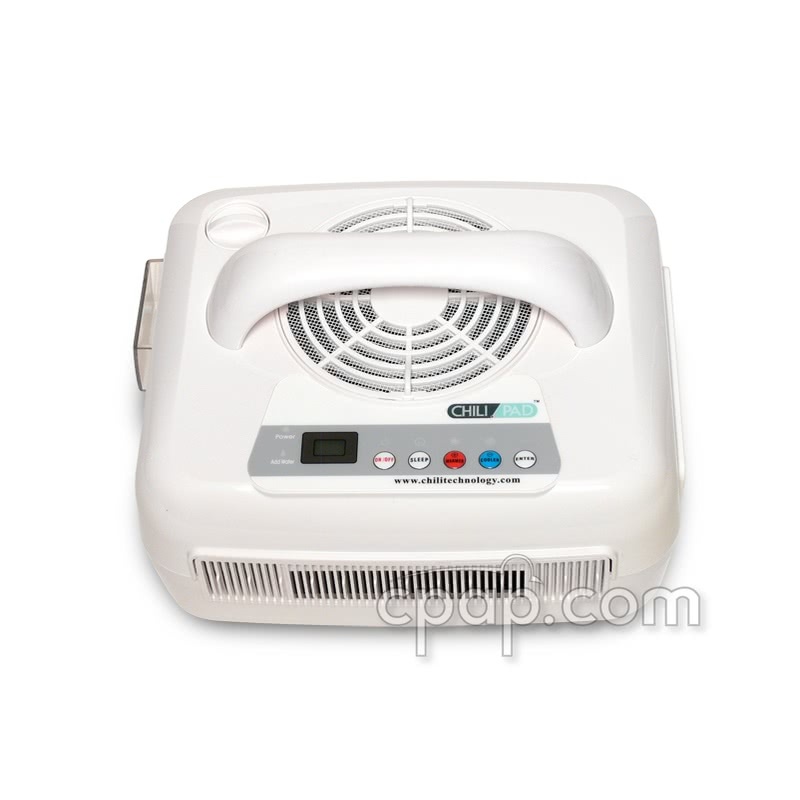 Each unit should be considered personal and will provide adequate cooling for one user. Spouses and partners may need an additional unit to experience 100% effectiveness when attempting to save energy and raise their average nightly ambient temperature.